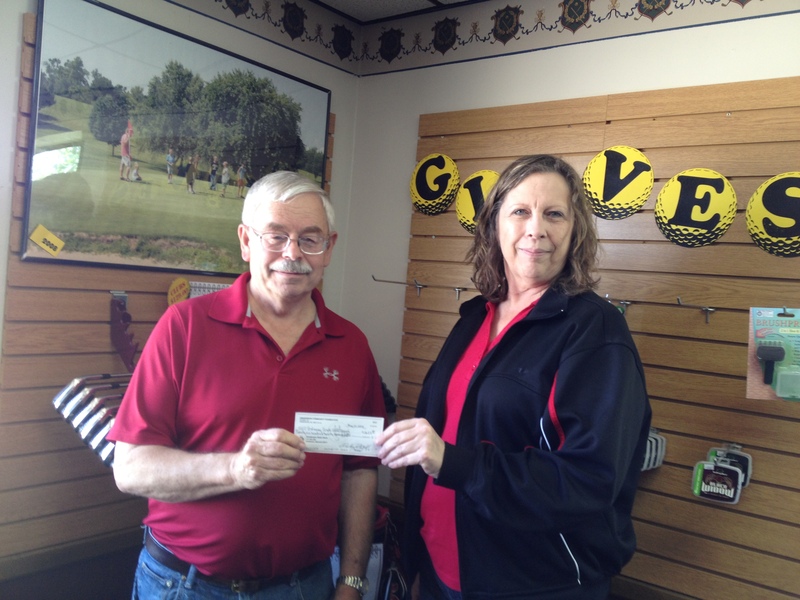 The Henderson Community Foundation Treasurer, Randy Ratzlaff, presented Ardys Dunsmoor with a check for $2623.50 for Galaway Creek Golf Course. The Henderson Community Foundation is a 501 (c) (3) organization and is used as a vehicle to promote both charitable giving and local nonprofit organizations. You can learn more about the Henderson Community Foundation and make a donation here.